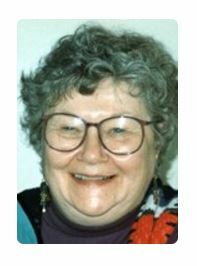 Missoula, MT - Colleen passed away peacefully in her sleep at the age of 87 from Alzheimer's disease. She was born in Salem, OR to Sidney and Anita Powers. A former Queen of the Molalla Buckeroo, Colleen graduated as valedictorian from the Molalla High School. She went on to Reed College and then to Oregon State University where she graduated with a degree in early childhood education. Later she earned her Master's degree in teaching, also from OSU, and was a lifelong member of the Pi Beta Phi sorority. She married Harold Mahon and had three children - Ann, Keith and Marlise. During their marriage, they traveled extensively throughout the US and Europe - living in Seattle, Boulder CO, Zurich, Switzerland and Newton, MA. Colleen later returned to Salem before moving to Missoula in 2013. Colleen was an active member of the community especially with the Girl Scouts, the PTA and other causes around the family home in Newton. She worked for many years for the YWCA in Newton and Salem. She loved raising Swiss Mountain dogs and in her later years she became an avid genealogist, spending over twenty years of her life collecting photos, stories and researching the lives of her family. She was preceded in death by her parents, and her daughter Ann Bradstreet. She is survived by her son, Keith of Stow, MA, and her daughter Marlise Flynn of Missoula; her grandchildren, Benjamin and Amalia Bradstreet, Carl, Scott and Laura Mahon and Abbey Flynn; and her former spouse, Hal. A private family service will be held at a later date. In lieu of flowers, consider making a donation in her name to the Alzheimer's Association (www.alz.org/donate).